One of the biggest things Liz Marek is known for is her bust cakes. Liz came up with the ingenious idea of using a chocolate skull as a base to sculpting faces. I mean it makes total sense right?! It gives you a perfect map of where things should go and about how big to make them and that right there is half the battle of sculpting a face. 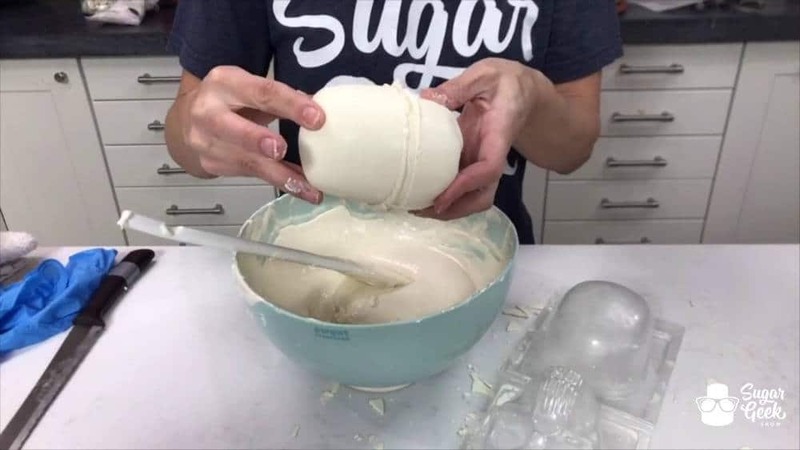 After all, we have a skull as a base, so why shouldn’t a sugar sculpture have one too? 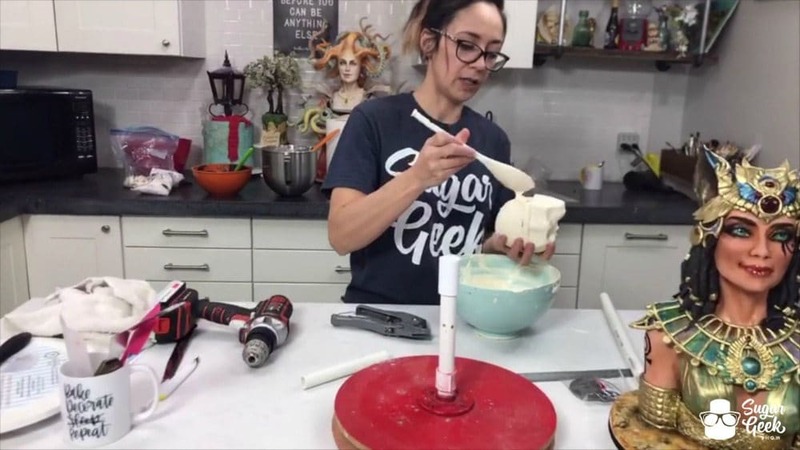 Then she, with the help of Sidney Galpern of SimiCakes, took it one step further and created an amazing isomalt eye technique that will blow your mind and I will show you how to do that in another post! 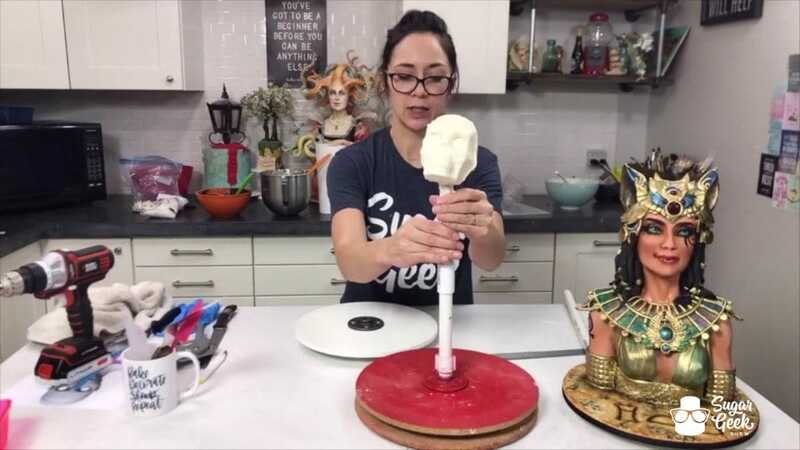 Liz recently did a live demo on how to use her chocolate skull mold and I am going to break it down into step by step photos for you as well. 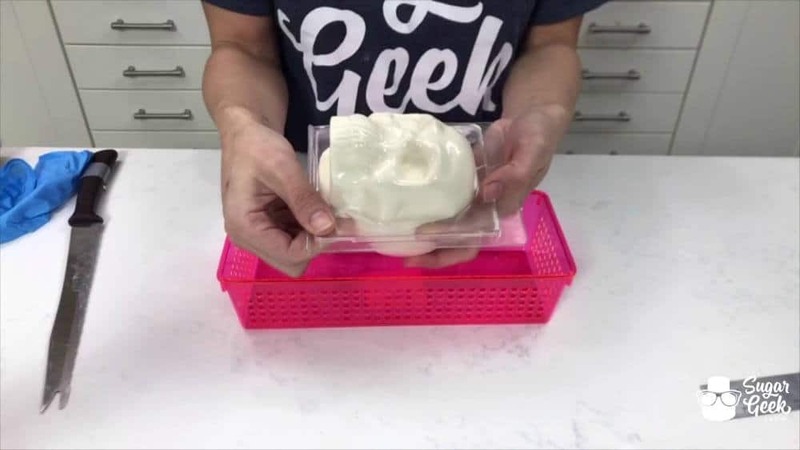 Buy the Chocolate Skull Mold from our online shop and then get yourself a $1 pencil container from your local dollar store to use to hold your mold. Melt down 4 lbs of candy melts. Candy melts are best because real chocolate will stick to the mold and not release the way you’ll want it to. Fill the back half of the skull until it’s just below the top. Fill the front half of the skull all the way to the top. 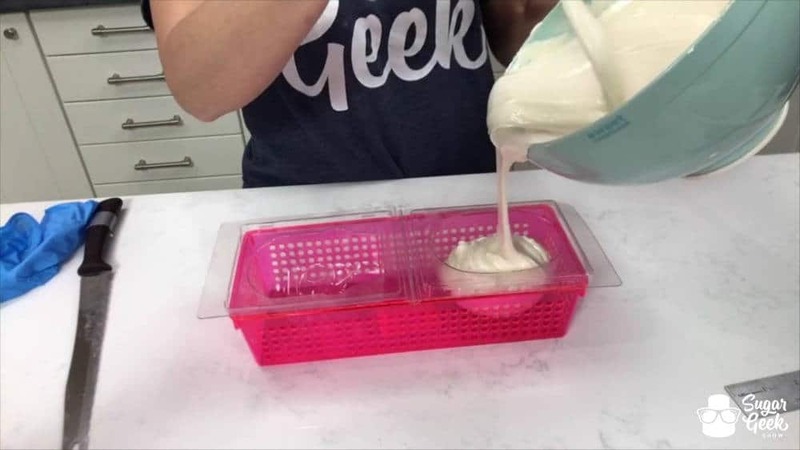 Try not to over fill your mold to avoid unnecessary spillage and mess. That being said, the skull does not have to be perfect by any means, we are after all just covering it up. 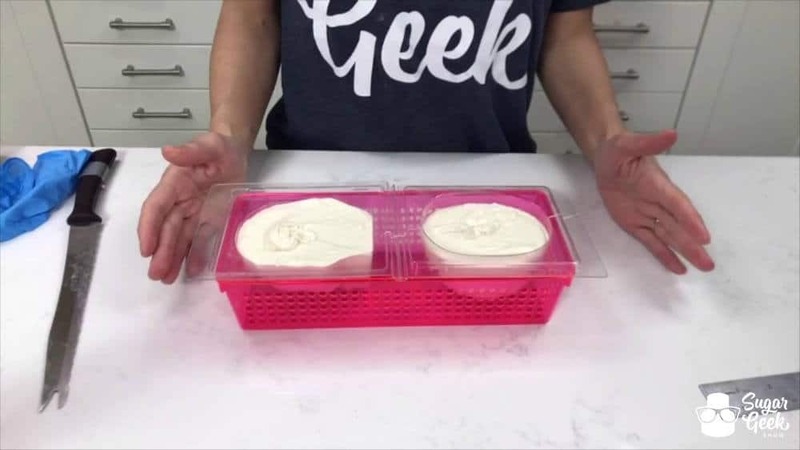 Place the mold in the freezer for about 10 minutes to give it a quick set. 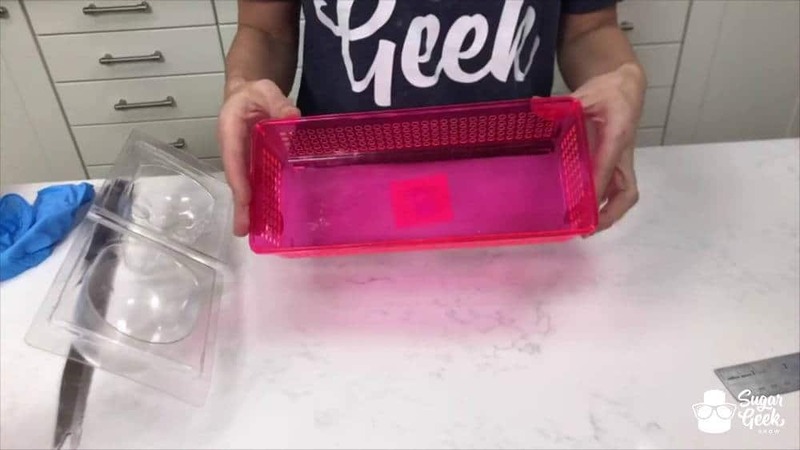 Then continue to fill the back half of the mold to the top to act as the “glue”. 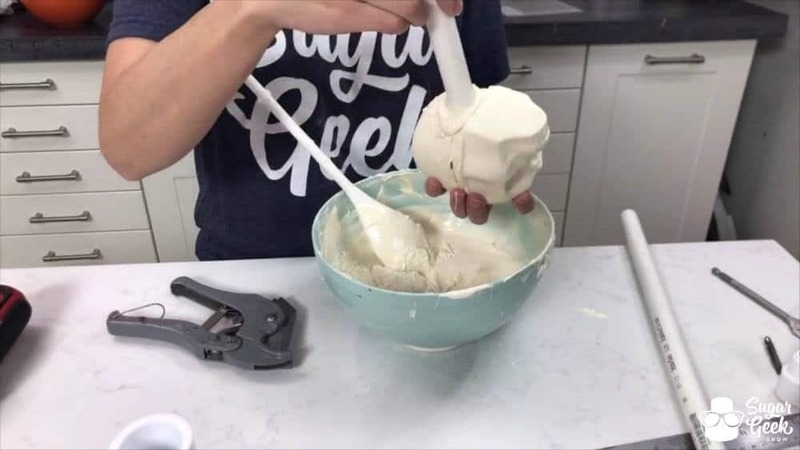 Close the mold and snap it together. Place in the freezer for about an hour to fully harden. Just add a little more chocolate in between the pieces to glue it back together. 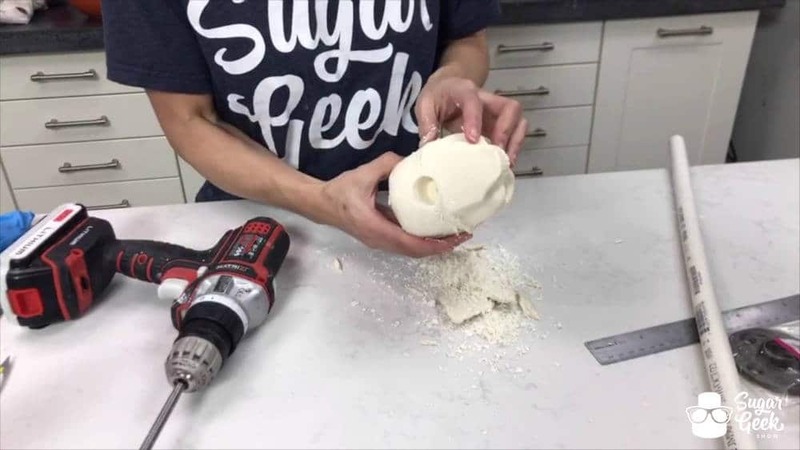 Once your skull is fully set, use a drill and a 1″ paddle drill bit to drill a hole into the back half of the skull. 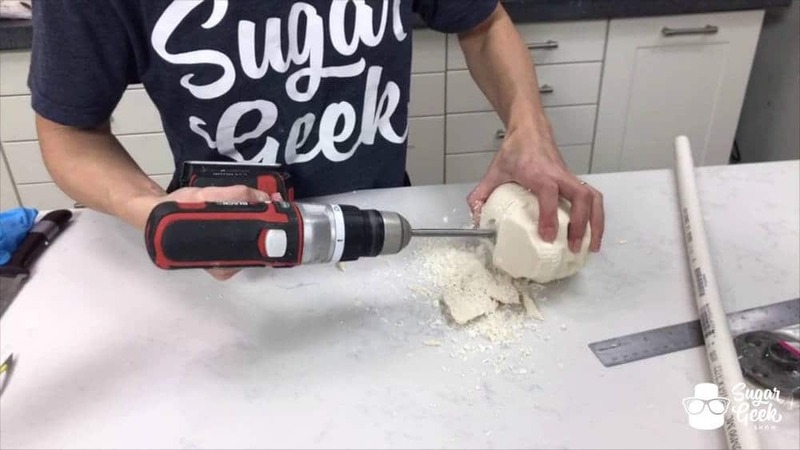 You don’t need to drill too far, maybe about an inch tops. Fill the hole with more melted chocolate. Stick a small length (exact length doesn’t matter at this point) into the hole and let set until firm, another couple of minutes. Screw the lazy susan in between the two wooden boards. Then screw your flange to the top board and insert your female adapter, pvc pipe and coupler. Easy peasy! 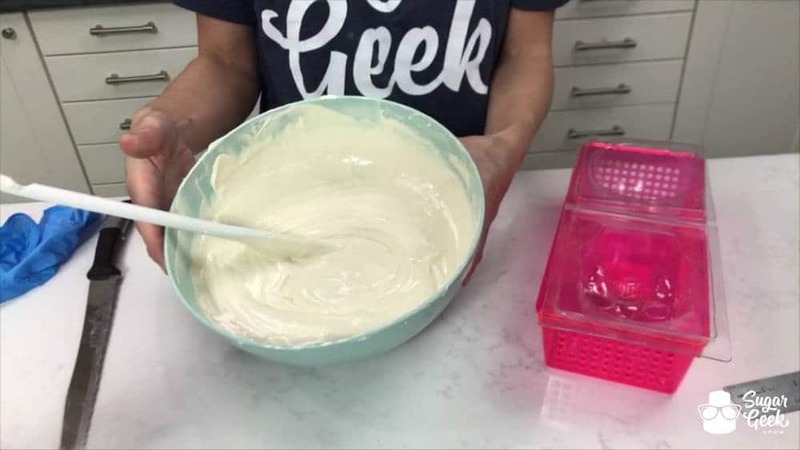 Then once you are done sculpting your face, you will be able to easily transfer it to your final structure with completed bust. 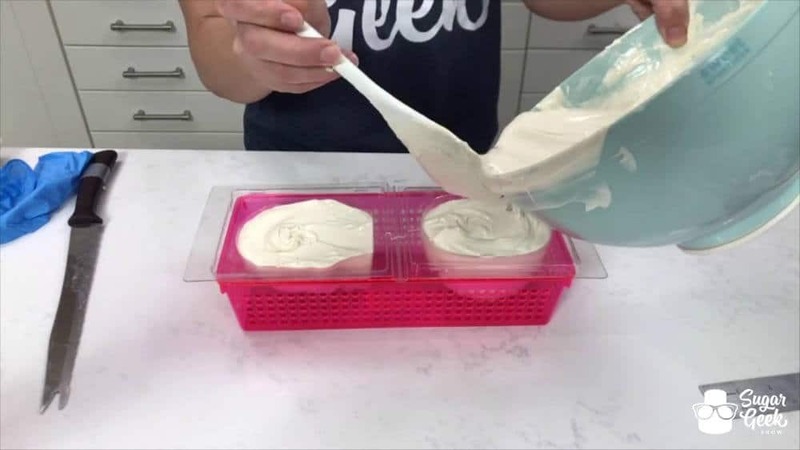 This will allow you to make incredible bust cakes with ease! Next week we will go through step by step how to make the bust structure and sculpt the bust from cake! If you missed the live demo showing all of this, definitely check it out below! It’s both educational and entertaining.